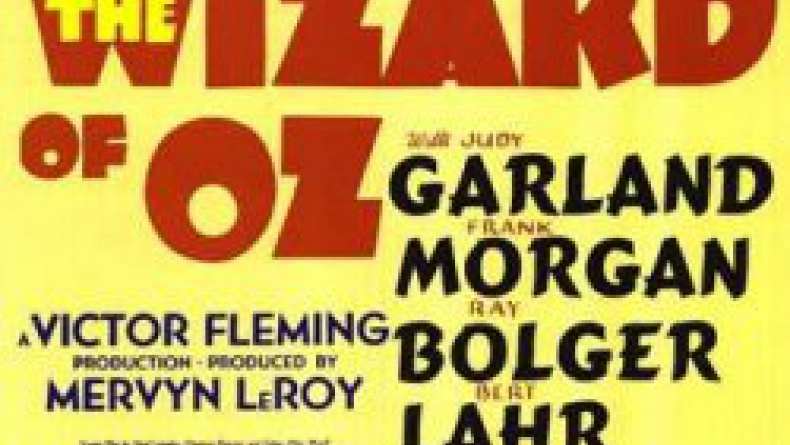 The film centers on Dorothy, a young girl from Kansas who is transported , along with her dog Toto, to the fantasy utopia of Oz by a violent cyclone that sweeps her farmhouse home away. The storm carries the house with Dorothy and Toto to Munchkinland, a magical place far way from anything that Dorothy has ever seen or dreamed of. She is proclaimed a national heroine by the tiny inhabitants because the luck of the house's landing has caused the house to fall on and kill the Wicked Witch of the East, who holds power over the Munchkins. Suddenly, Glenda, the Good Witch of the North appears and explains all that has happened to Dorothy. Dorothy naturally wishes to return home. However the sister of the now dead Wicked Witch of the East (the Wicked Witch of the West) makes a startling appearance. Dorothy receives protection from the Wicked Witch of the West by Glenda when magically the Ruby Slippers that were worn by the dead Witch of the East are now on the feet of Dorothy: as long as she wears the slippers, says Glenda, Dorothy will be safe. The Witch of the West leaves, and thus Dorothy is sent along the Yellow Brick Road by Glenda, the Good Witch of the North to find The Wizard of Oz and get his help to return to Kansas and home. Along the way, Dorothy overcomes various obstacles and meets a talking Scarecrow (played by Ray Bolger), a Tin Man (played by Jack Haley) and a Cowardly Lion (played by Bert Lahr), who also are unsatisfied and need to find the Emerald City, of which The Wizard is master, believing that he will give them each what they desire. Instead, the Wizard sends the fellowship on a quest to kill the Wicked Witch of the West.